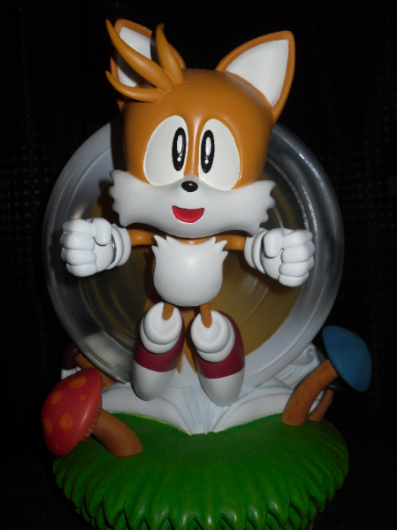 First4Figures today revealed their long-anticipated 25th Anniversary statue, and I’m sure many will agree that this is the most ambitious statue to date. 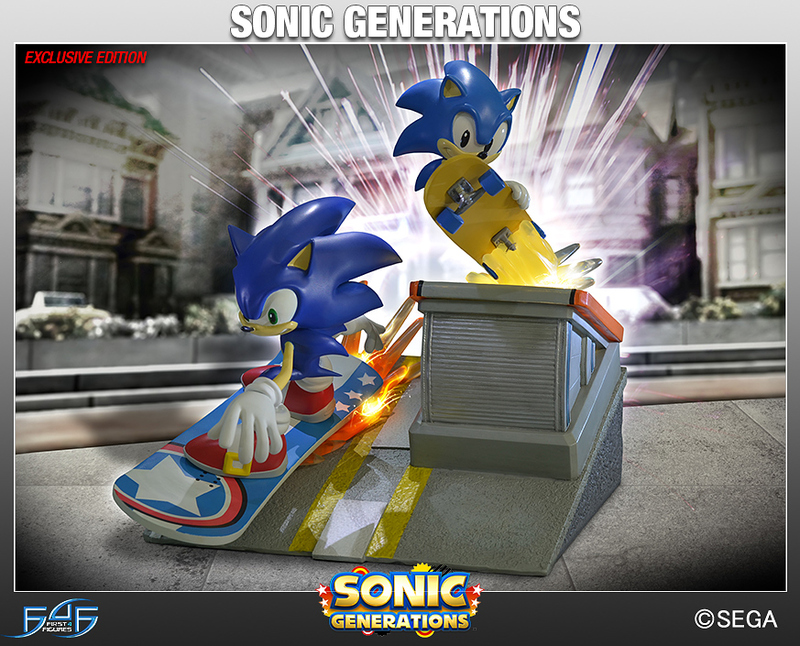 A funny thing happened on my way to the First4Figures Collectors Club Page today, I was quite surprised to see tons of posts from multiple posters lamenting the cancellation of the Sonic line. 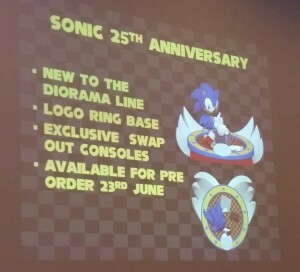 Quite baffled by this I looked into it a little more and found even more people saying that the Sonic line was to be cancelled or ‘in danger’. 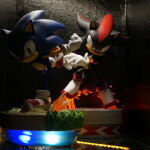 After doing some research, it seems that in a recent Q&A video, First4Figures strongly hinted that the Sonic line was indeed in danger, specifically future releases being cancelled unless the next statue sells very well. 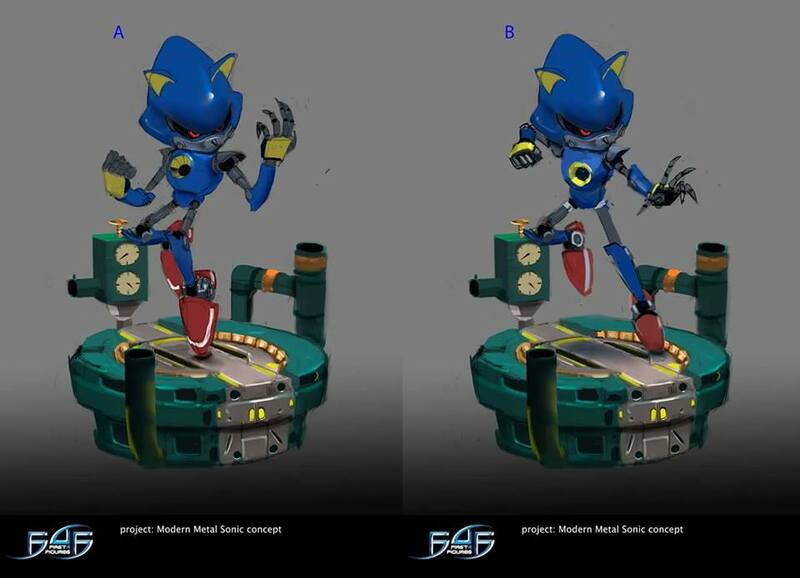 The comments in question are made in this video (April 7th, between 46:00-48:00), a user asks about a ‘Modern Metal Sonic’ statue and the staff respond that it won’t happen unless the 25th anniversary statue sells very well. 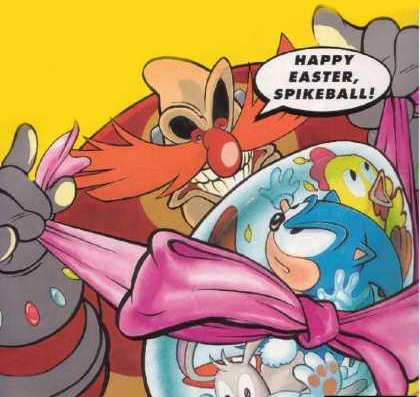 At first the tone is jokey, but then it changes to a more sombre and serious one, with them finally saying “Make sure that sells well or… forget about Modern Metal Sonic,” at which point one of them even shakes their head. 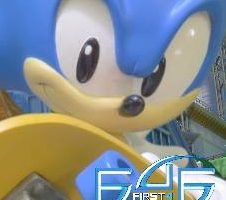 Now whilst there has been no official confirmation (that I can find) as to the specific reason as to why the Sonic line is in danger, but many long term fans of F4F have been stating on the Facebook page that what’s happening is very similar to what happened to Kirby and a few other franchises. 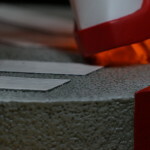 It seems that future lines can suffer depending on the sales of a previous statue, even if in the past the line had done very well. 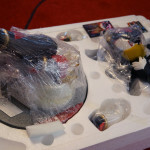 Fans have been citing Kirby as a prime example, which had a previously announced statue cancelled due to poor sales over an earlier release. 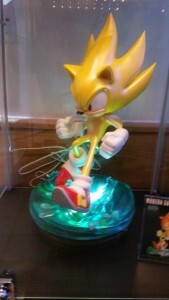 So if that’s indeed the case, who was the last character in the Sonic series that got a statue? This guy. 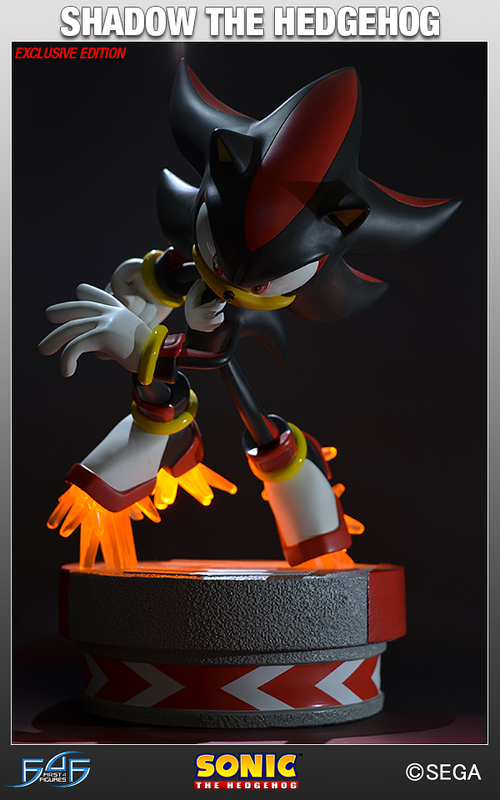 Yup, Silver is being cited by many on the F4F page as being the reason for these comments, checking the exclusive statue, it seems that only 375 were made in response to orders… Compare that to the Exclusive Tornado statue which cost $45 more had 425 made… that’s… not good. So what we get from this are a number of things. The first is that the Tornado sold even lower than the 425 quoted here, combined with the fact that F4F has expanded it’s business means that we now have two statues in a row which might have both fallen far below expectations which suggests that the line really is at risk. 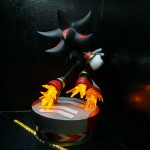 A few weeks ago at the Vegas Licensing Expo, First4Figures posted a number of photos of Sega’s booth, however there wasn’t any indication as to why they were at the event or at Sega’s booth. Well, we think we might have a clue as to what. 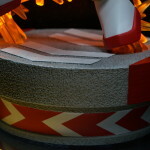 First4Figures recently teased in one of their Facebook groups that they were looking into releasing other products which differ from their usual statue rangers, whilst I would love to provide a snap of that quote it was a few weeks ago and have since lost it. 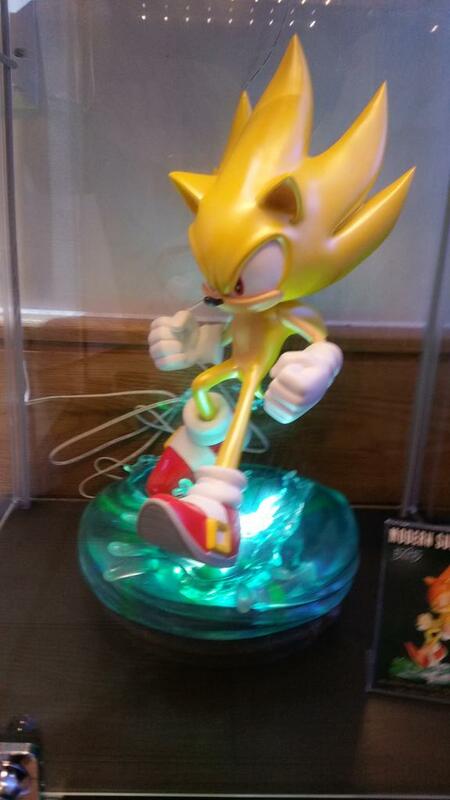 Well to further provide hints as to what this might mean and which franchises are on board, according to a newsletter published at the Vegas Licensing Expo, First4Figures are to continue making Sonic themed statues, but also expanding the range into other products. Whilst no specifics were given, the newsletter is quoted as saying ‘exclusive range of gift and novelty products’ suggesting that these might be priced significantly lower than the usual high end statues. 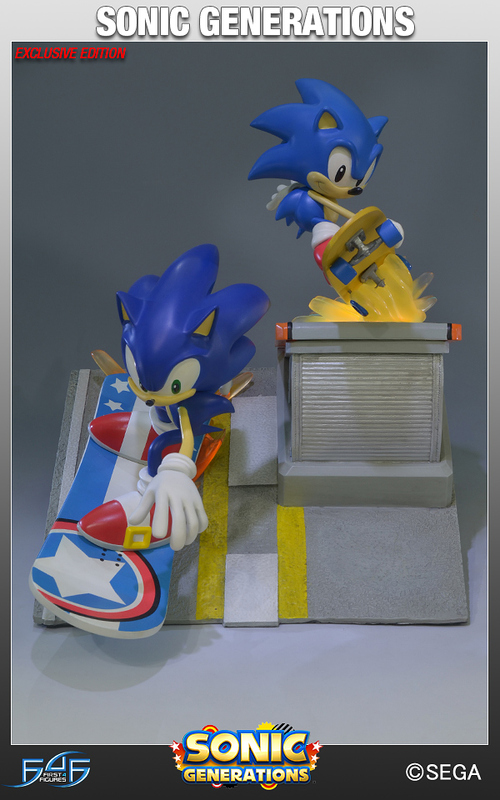 First4Figures have today revealed 2 renders for their upcoming additions to their Sonic the hedgehog statue range. 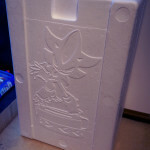 The 25th anniversary statue depicts Sonic inset into a base playing games consoles, which according to the images are interchangeable, including a SEGA Dreamcast. 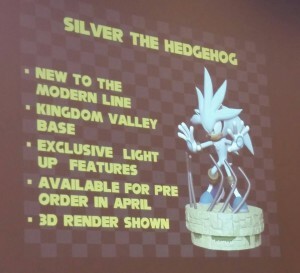 The Silver statue will conform to the “modern line” of statues (which so far includes Sonic, Shadow and Super Sonic) and feature a Kingdom Valley base (No Crisis City love?) 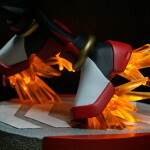 and lighting in the exclusive version as seen previously with similar models. Many thanks to Peter Robinson for the spot at Weston Super Sonic! 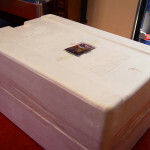 A big brick of Polystyrene! Some writing on the top and a pretty, 3D picture on the reverse. Here’s a look at all the bits and pieces you get inside. 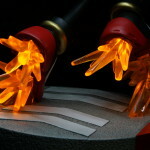 The statue is split into multiple parts (base, Shadow’s body, both of his hands and batteries) to make the journey over from China a little easier on the fragile parts. Building the statue was a little bit fiddly, but everything went together easily enough once the main body was fitted into place. The statue certainly isn’t one for people who don’t have a fair bit of space. At a solid 15 and a half inches in height, he’s certainly imposing. 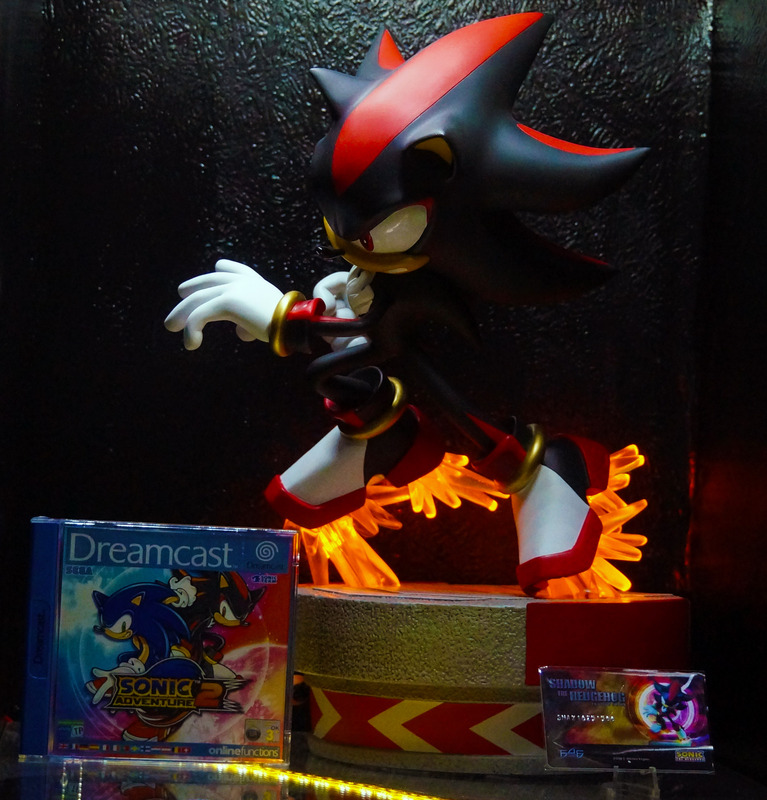 To give people a sense of scale, here’s a vanilla copy of Sonic Adventure 2 by comparison. 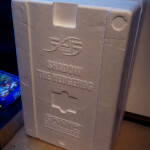 And so wraps up this not-so-little look at First 4 Figures’ Shadow the Hedgehog statue. 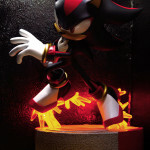 At the time of writing, The exclusive version of the statue has completely sold out in Europe, but not quite in the US and Australia. The regular statues are still having their wait lists sorted out. 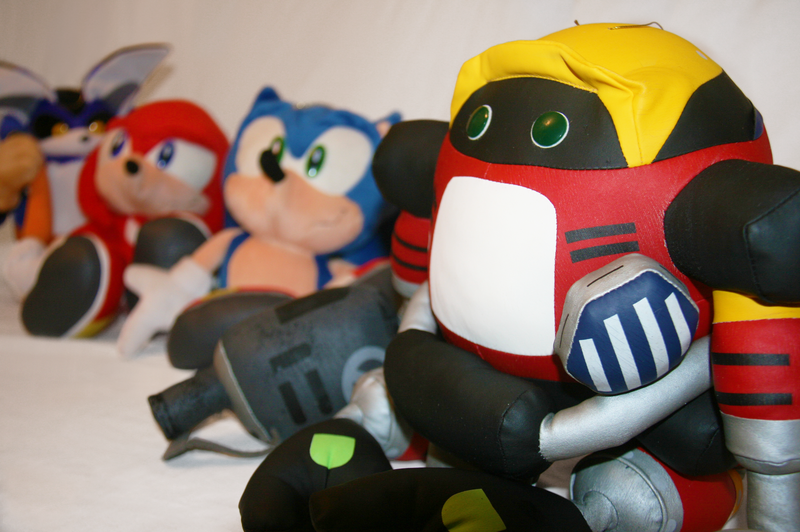 Over to you: Were you lucky enough to pick one of these up for yourself? What were your thoughts? Guess who is coming out to play? Is it a clone!? Is it an android!? No! 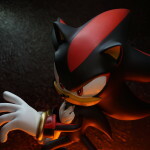 It’s Shadow the Hedgehog Dah-Na-Nah! 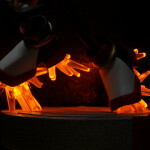 First4Figures released a new teaser image of the next statue in their Sonic line. 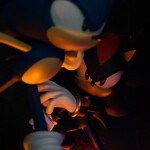 Shadow, Shadow the Hedgehog, MARIA! 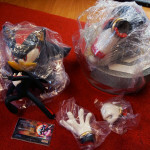 No release date was given nor price, but going by previous statues. expect to pay nearly $230-$250 depending on which version you get. As for release? 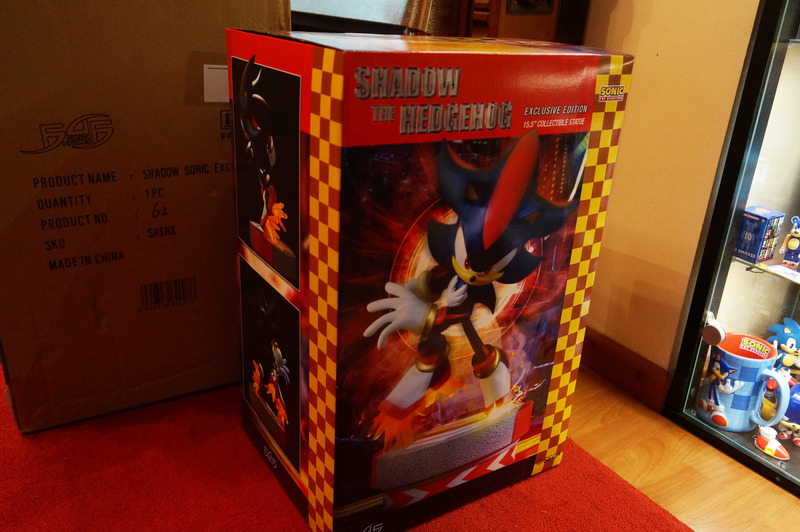 Considering how the Knuckles statues have only just been released, and it’s been nearly a year since the Tails pre-orders went live, Modern sonic is still to come out. 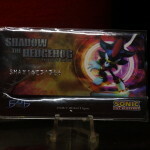 You might be waiting until late 2013-mid 2014 just to get your hands on it. When pre-orders go live, act fast to avoid getting a fake! Doh, ho ho ho ho. 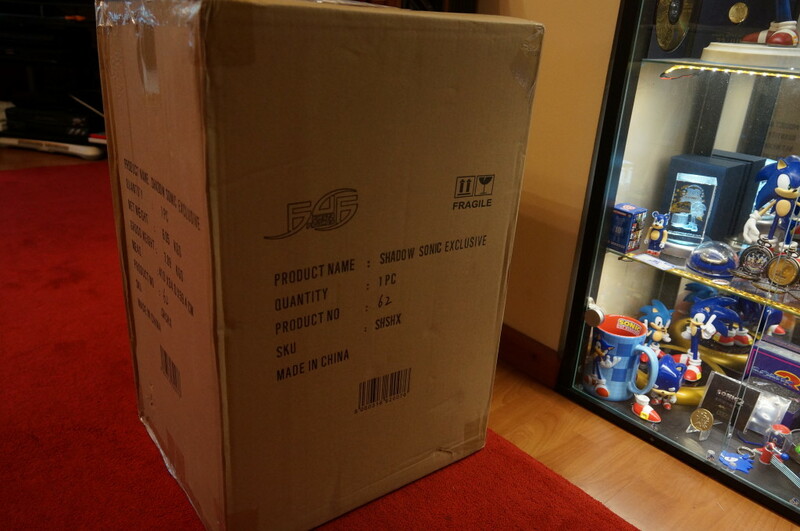 Stay tuned to TSS for more details when we get it. 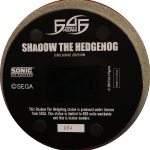 F4F: Modern Sonic Pre-Orders Go Live May 15th! Continue reading F4F: Modern Sonic Pre-Orders Go Live May 15th! You might remember shortly before New Years Day, F4F released a Christmas Card to everyone, well eagle eye’d readers spotted that hidden in the image was what appeared to be a new Sonic statue. 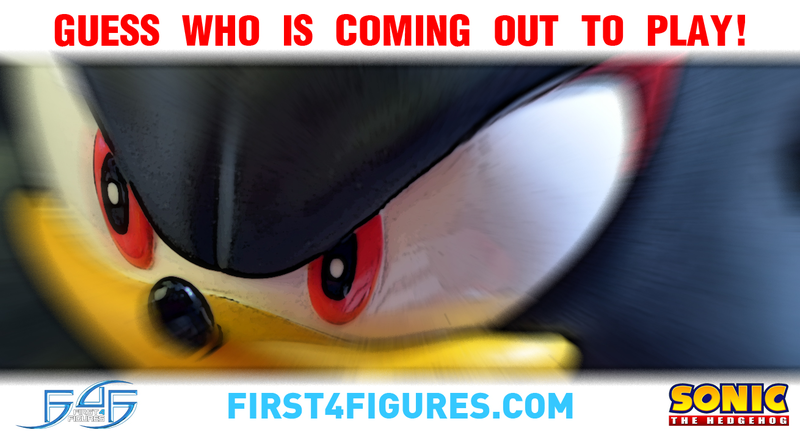 Well F4F have finally let the cat out of the bag with a teaser video showing off their new Sonic Statue, as well as a small picture of the it after the break.